In a state known for its rugged topography, many consider the spectacular San Juan Mountains the finest. The fleeting days of autumn are a special time as snow sometimes accentuates the colorful scenery. 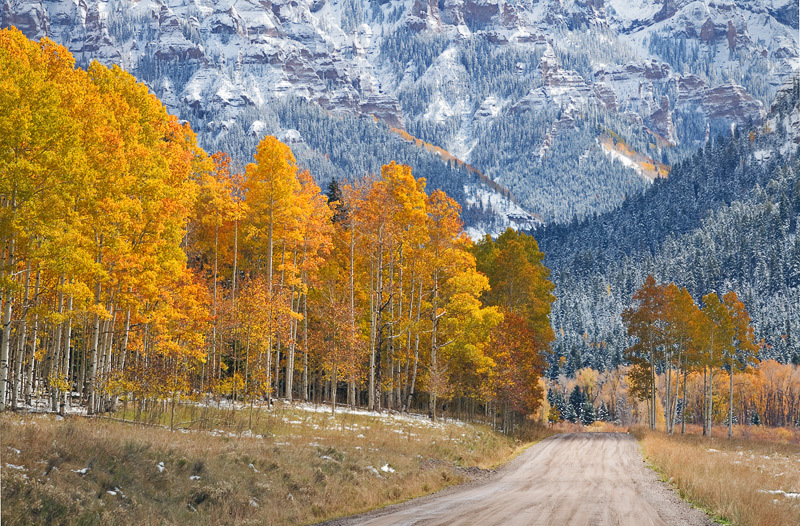 This private workshop takes full advantage of the San Juan Scenic Byway, a beautiful road trip that circumnavigates all of the area's unforgettable mountain towns such as Telluride, Ouray, and Durango. 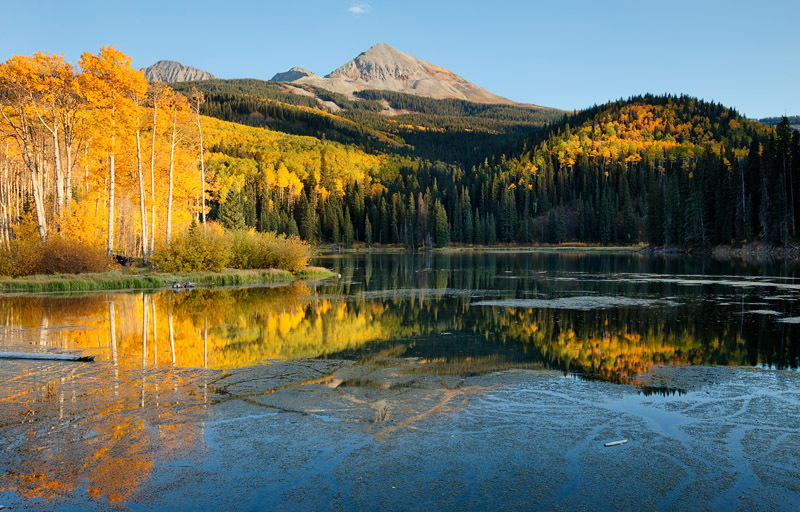 We'll photograph the iconic the Dallas Divide, take in beautiful Woods Lake, study the colors at Owl Creek Pass and explore parts of the Weminichue Wilderness, the largest tract of wilderness in the state. 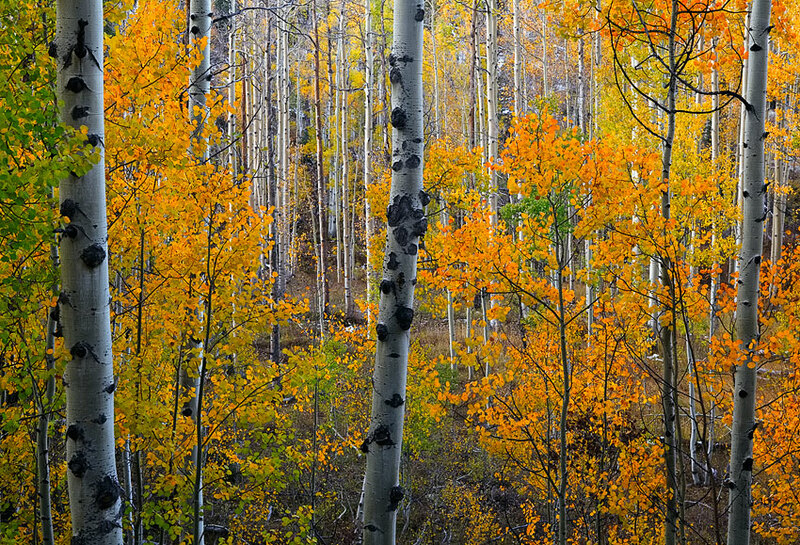 Arguably, this is fall landscape photography at its finest. Varies annually. Season lasts between mid-September and mid-October with peak colors usually appearing around October 1. Easy. Some short walks at high altitudes. This trip can be combined with the Colorful Personalities: New Mexico Badlands tour. Minimum trip length is 4 days to combine both tours.